Imagine a vine grower who expected his vines were going to produce Chardonnay grapes, only to discover the fruit a luscious, dark purple. The purple grapes weren’t bad, but they weren’t what the vine grower was expecting. Even with his good crop he was greatly disappointed. So it is in marriage. A husband considers romance to be one way and the wife considers it to be another. The wife provides many romantic gestures which go unnoticed by her husband, because it wasn’t romantic to him. The husband can spend precious time doing what he thinks will bless and romance his wife only to discover she didn’t appreciate it at all. What is wrong? Are the gestures extended not romantic or thoughtful? No. Are the recipients ungrateful and self-absorbed? No. The spouse is simply not romancing their spouse in a way that is romantic to them! This is a great truth that once practiced is sure to produce lasting fruit. Study your spouse. Find out what romance means to them? It may surprise you! But if you do your homework you will become the master of what really turns your spouse on! There will be no disappointments when you are romancing and loving your spouse in the way that means the most to them! Tom loves a clean, neat house. He feels loved and cared for when I take the time to make our bedroom clutter free. Me? I love it when Tom touches me, giving me back rubs, foot rubs and brushes my hair. This small gesture melts away any stress I’ve experienced during the day. We have learned how to bless each other as an extension of our love and care. I recently talked with a wife who was looking for creative ideas for an upcoming anniversary. I thought of a few ideas that might work, and she loved them. But she explained her husband would think those ideas were corny. It was sad to me. Not because he wanted to be romanced his way, but because he was placing limitations on his wife. Believe me, I speak from experience when I say, Tom has often thought my ideas were corny, but he was a good sport and went along with it so as not to disappoint me. The amazing thing to him was most of the time he enjoyed it, with a couple of exceptions. This is being adventurous and willing to try something you wouldn’t normally find appealing. One of our favorite author and speakers is Paul David Tripp. He has a new book out which covers this topic well. It is called, “What Did You Expect?” Below is a video trailer he produced to promote this new project. If this is an area of conflict you’ve come upon often in your marriage, we highly recommend you do something about it. Let this be the year where you no longer struggle with unrealistic expectations. 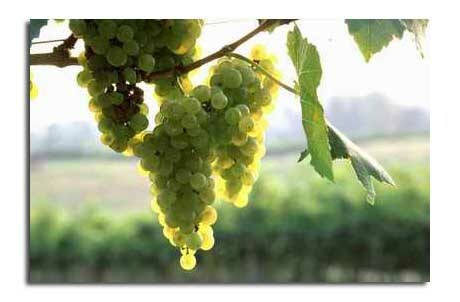 God is providing you the help you need, we encourage you to go after it in 2011, so one year from now you will enjoy the Chardonnay grapes as much as the Merlot grapes. This entry was posted in Difficulty, Hindrances to Romance. Bookmark the permalink. Are you suggesting we should adjust our expectations of our spouse, or adjust our expressions of romance to meet our spouse’s expectations? Or both? It’s an adjustment both ways. We should be looking for ways to romance our spouse in the way they prefer to be romanced. And when they fail to romance us the way we would really like, we still should embrace, even enjoy their expression. I can’t tell you how often we’ve ended up loving something we wouldn’t have planned ourselves, but because we were flexible to the others idea and went along with it, we have discovered some new things we love doing together. Great questions – we’re so glad you brought it up! Pingback: How can I provoke you?